Bruce is a very amiable host and this location is a must if you need accommodation in Tsawassen! Had a nice stopover in Tsawwassen during a recent trip to the area. 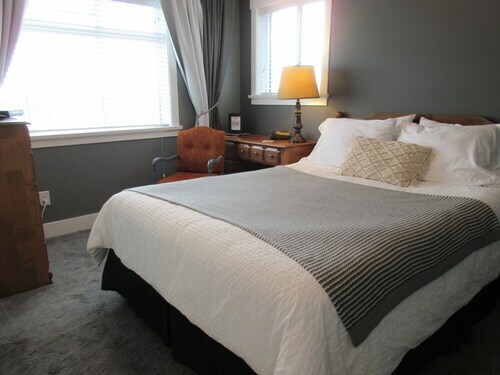 Our recent stay in Tsawwassen was made comfortable by staying at the Coast Inn. the hotel is connected to lonsdale quay market and food choices are super great! 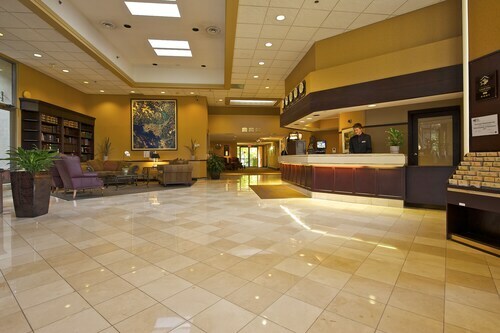 Where to find Tsawwassen hotels near an airport? 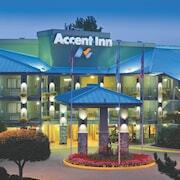 Where can I find hotels in Tsawwassen that are near tourist attractions? For those hoping to find a room near Tsawwassen, there are a number of options. Within a 0.1-kilometre (0.06-mile) radius of the city center, you'll find 4 Expedia-listed accommodation options. There are a range of hotels within a 5-kilometre (3-mile) radius of Tsawwassen's city heart, including the Coast Tsawwassen Inn and Beach Grove Motel. 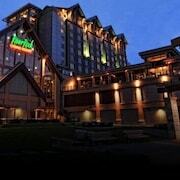 The Fairmont Pacific Rim is located 30 kilometres (17 miles) from the center of Tsawwassen. 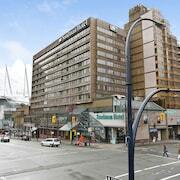 Alternatively, the Shangri-La Hotel, Vancouver is situated 30 kilometres (17 miles) away. Other alternatives around Tsawwassen are the The Residences on Georgia by Vancouver Extended Stay and the Rosewood Hotel Georgia. If you have time left, you could explore the other scenic and cultural delights of Vancouver Coast. 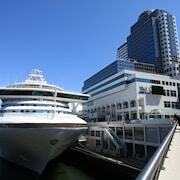 Visit Vancouver Coast's old towns. Those with a hankering for fresh air and wide open spaces can also take the time to to admire the region's forests and rivers. Popular activities in this part of Canada include snowboarding, skiing and cross-country skiing. Looking for more things to do? Why not spend some time exploring Chinese Cultural Centre Museum and Archive and Carnegie Centre, in Chinatown, 25 kilometres (17 miles) to the north of Tsawwassen. 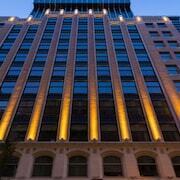 If you'd like to spend a few nights in Chinatown, check out the The Fairmont Waterfront and Loden Hotel. 25 kilometres (17 miles) to the north of Tsawwassen, you'll find Downtown Vancouver, which is home to the Pan Pacific Vancouver and OPUS Hotel Vancouver. The Pacific Mineral Museum and BC Sports Hall of Fame & Museum are a couple of the popular sites to see in Downtown Vancouver. If you like sports and like to watch local games you could visit BC Place Stadium, which is 25 kilometres (17 miles) to the north of Tsawwassen. 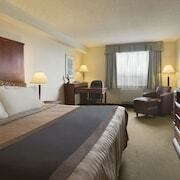 Sports fans wanting to find a room or apartment close to the stadium can make a choice from the Wedgewood Hotel & Spa or the The Landis Hotel and Suites. Vancouver International Airport is a convenient airport for flying into Tsawwassen. It is 18 kilometres (11 miles) drive away. 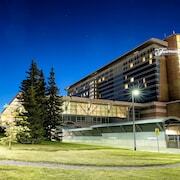 If you choose to stay nearby, try the Fairmont Vancouver Airport In-Terminal Hotel or Vancouver Airport Marriott. 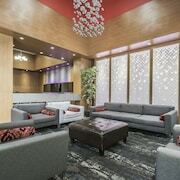 What are the most popular Tsawwassen hotels? Are there hotels in other cities near Tsawwassen? 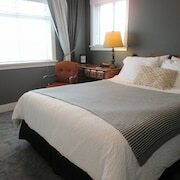 What other types of accommodations are available in Tsawwassen? Explore Tsawwassen with Expedia.ca’s Travel Guides to find the best flights, cars, holiday packages and more!